Haylee Massaro has been an education professional in the field of English Language Arts for 7 years, and she has gained experience teaching in both brick-and-mortar schools and online. She currently works as an educator both for secondary and for higher education. She holds a B.A. in English Literature from the University of Pittsburgh as well as an M.S.Ed. from Duquesne University. Betsy DeVos, the current education secretary, has made headlines again regarding investigations of fraudulent for-profit colleges. On May 13 2018, The New York Times reported that investigations on several for-profit colleges had “ground to a halt”. Many of the team members appointed by DeVos were former employees at those entities being investigated, most notably, Julian Schmoke. Mr. Schmoke was a former dean at DeVry University, which was under investigation for fraudulent ads which were misleading students. In 2016, DeVry agreed to a $100 million settlement with the Federal Trade Commission who alleged that the school had ultimately harmed students with its deceptive advertisements. Recently, the Education Department team set out to investigate for-profit fraud at DeVry, Bridgepoint Education, Career Education Corporation, and others, has been re-focused, effectively terminating a further investigation into these entities. While Education Department spokesperson, Elizabeth Hill stated that the team’s new additions have not influenced the team’s work or focus, the termination of specific investigations into for-profit fraud would suggest otherwise. Educators across the country have become especially concerned with the future of public education. This concern has grown since DeVos’ appointment as the Secretary of Education, partly because of her ardent support of for-profit education and partly due to her advocacy for funneling further funds out of public education. Many for-profit colleges seem to be good on the surface. But, there are a lot of underlying problems and dangers for prospective and current students. Recruiters work hard for these schools to convince students that they are the “right” choice. They often target low-income and minority students falsely promising them a degree for less time and money. The New Yorker reported that 96% of for-profit students take out loans to pay for college, which is nearly 40% higher than those who take out student loans at community and non-profit colleges. For-profit college and university recruiters are required to “make a sell”. And, oftentimes, that sell comes at the expense of the student, both literally and figuratively. When students who cannot afford it buy in, it causes student loan debt to pile up. Furthermore, when it comes to degrees that students never finish, it means that those debts have piled up and will never pay off. Acceptance rates are high, which might seem like a positive, especially for someone who is struggling for college acceptance. This may indicate, though, that the school is less interested in quality education and more interested in the bottom line. Not to mention certain colleges like DeVry, though accredited, do not hold much weight on a resume. For instance, U.S. News reported in 2016 that while employer views might be starting to shift, when it comes to making a decision between two qualified applicants, they will be more likely to hire the person with a degree from a traditional and recognized university. In 2016, Inside HigherEd also reported that the majority of for-profit college students see a decline in earnings “five or six years after attendance”. However, those who finished master’s programs eventually did start to see an increase in earnings. 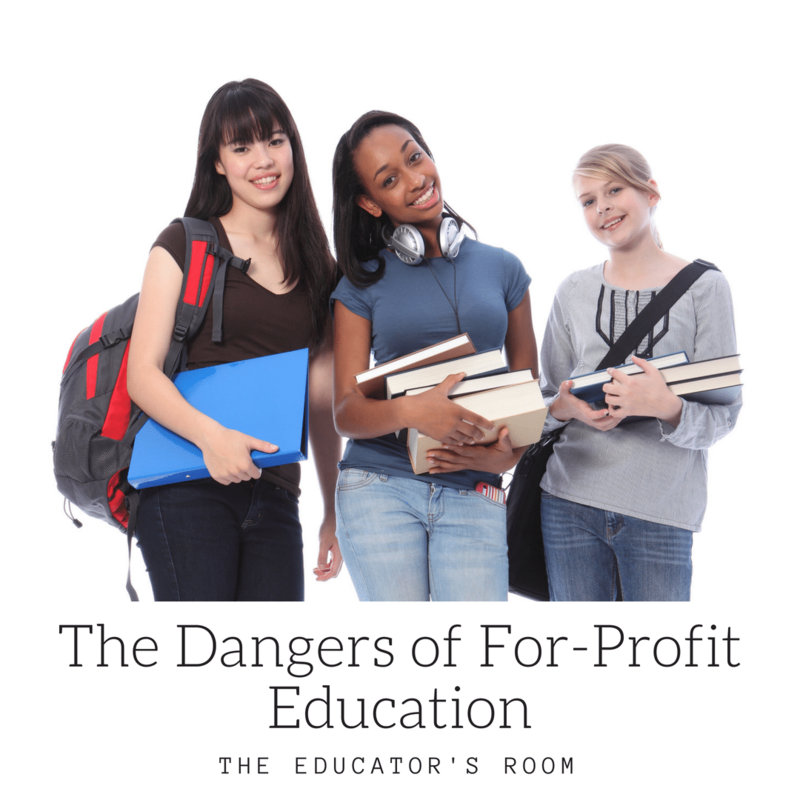 The reality is that for-profit colleges are more costly than community colleges. And, more of their graduates end up unemployed or underemployed. There is no short answer to this question. For some, yes, but others have seen a return from their for-profit degrees. There are schools that do well and are better respected. But, at the same time, there are a large number of for-profit schools that have high drop-out rates, high rates of loan default and very low rates of success when it comes to employment. Ultimately, if you are considering a for-profit college or university, it is best to do your research. Check to make sure that job placement numbers are accurate and not inflated. Look for concerning press or scandals surrounding the college. And, be sure to evaluate cost, plus the overall return once you complete your degree.